Rovers Trust, the official Blackburn Rovers supporters group, has succeeded in its primary aim – to officially become a shareholder of the club. Loyal supporter Stephen Halstead has donated part of his family’s shareholding in Blackburn Rovers to the Trust for a nominal sum to enable it to question the running of the club in an official capacity. Rovers Trust is now one of the main minority shareholders in Blackburn Rovers and will use its position to enable the financial experts within the Trust to monitor the governance of the club and ask questions at the appropriate meetings. Rovers Trust has a short term aim of becoming the second largest shareholder in Blackburn Rovers (currently Blackburn With Darwen Council) through further donations from minority shareholders, of which there are around 340, not including the Rao family which owns the majority stake in the club.. 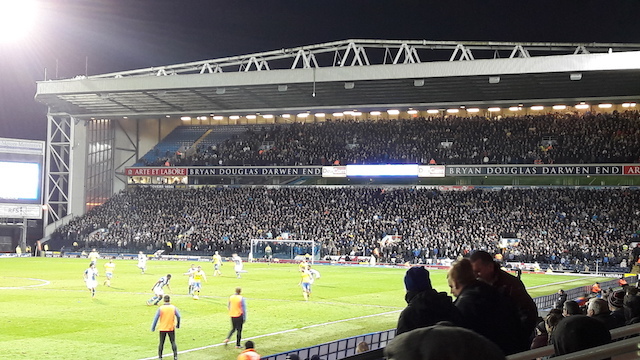 In the medium to long term, Rovers Trust aims to take a significant stake in Blackburn Rovers to ensure proper supporter representation in the running of the club. Stephen Halstead, who now lives in Cheshire, said: “Something needs to be done. Rovers are a shambles both on and off the pitch. “Rovers Trust is aiming to be the second largest shareholder in the club and I have transferred part of my shareholding to them. Dan Grabko, finance officer for the Rovers Trust, said: “We are tremendously grateful to Stephen for contributing a part of his family’s shareholding. We understand this is a decision made with consideration and care. “And we are pleased he recognises that the Rovers Trust can do a lot of good work as an official shareholder. “If other minority shareholders will donate their shares, in full or in part, to the Trust we can build up a stake in the club that will always be in the hands of supporters. “The Rovers Trust will be the long-term repository of shares and will always use its position to legitimately question the running of Blackburn Rovers, on behalf of the supporters whoever owns the club. Fans who are not shareholders can still help the Rovers Trust by becoming members. Hundreds of new members are joining week-by-week, but more members are needed to give as big a voice as possible to the club’s fans. It costs just £10 per year (£5 for juniors) to gain full voting rights and a say in the direction Rovers Trust takes in its bid to take control of Blackburn Rovers. Securing the future of Blackburn Rovers for the sole benefit of the club, its supporters and the wider community. To obtain full or part ownership of Blackburn Rovers Football Club and its assets on behalf of fellow supporters in order to represent supporters’ views whilst protecting the club's short and long term future.